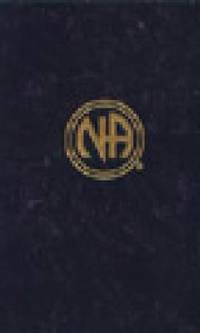 Narcotics Anonymous World Services, Incorporated, 1988. Hardcover. Good. Disclaimer:A copy that has been read, but remains in clean condition. All pages are intact, and the cover is intact. The spine may show signs of wear. Pages can include limited notes and highlighting, and the copy can include previous owner inscriptions. At ThriftBooks, our motto is: Read More, Spend Less.Dust jacket quality is not guaranteed. 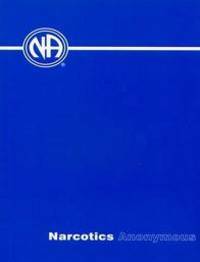 Narcotics Anonymous World Services, Incorporated, 1988. Hardcover. Acceptable. Disclaimer:A readable copy. All pages are intact, and the cover is intact. Pages can include considerable notes-in pen or highlighter-but the notes cannot obscure the text. The dust jacket is missing. At ThriftBooks, our motto is: Read More, Spend Less. 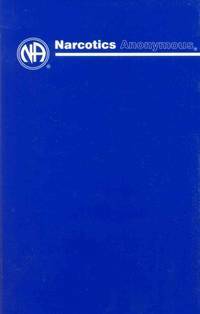 Narcotics Anonymous World Services, Incorporated, 1988. Hardcover. Acceptable. Disclaimer:A readable copy. All pages are intact, and the cover is intact. Pages can include considerable notes-in pen or highlighter-but the notes cannot obscure the text. At ThriftBooks, our motto is: Read More, Spend Less.Dust jacket quality is not guaranteed. Good. Clean copy with jacket, has some black marks under covers only. World Service Office. Hardcover. 0912075023 Good Condition. Five star seller - Buy with confidence! . Good. World Service Office. Hardcover. 0912075023 Some light wear to book and dustjacket. Name or gift inscription inside book. . Good. 1988-12-01. 5th. World Service Office, 1988-12-01. 5th. Hardcover. Very Good. Ships Out Tomorrow! World Service Office. Hardcover. 0912075023 Some wear. Top half torn from flyleaf. Still very serviceable copy. . Good. 1988-12-01. 5th. World Service Office, 1988-12-01. 5th. Hardcover. Good. No dust jacket. Ships Out Tomorrow! World Service Office, 1988-12-01. 5th. Hardcover. Good. Ships Out Tomorrow! World Service Office. Hardcover. 0912075023 Fast Handling - Ships next Business Day!!!! . Good. World Service Office. Hardcover. 0912075023 Fast handling - Orders prepared for Shipping Next Business Day! . Good. California: World Service Office. Very Good; Previous Owner's Name Inside and Minor Pencilling. 1988. Fifth Edition. Hardbound. 0912075023 . 290 pages . World Service Office, 1988-12-01. 5th. Hardcover. Like New. Appears unread, minor shelf and/or handling wear.. Unconditional money back guarantee. World Service Office, 1988-12-01. Hardcover. Like New. World Service Office, 1988. Hardcover. Very Good/Very Good. Store copy. 286 pp. World Service Office. 1988. Hardcover. 0912075023 . Has some rubbing/light wear to dust jacket, otherwise, as new. ; 8.50 X 5.40 X 1.10 inches; 272 pages .